This Grand Canyon West Rim flight gives you the opportunity to explore the Canyon’s most picturesque vantage points by both air and land. Cover lots of ground, cover lots of air and travel back in time! 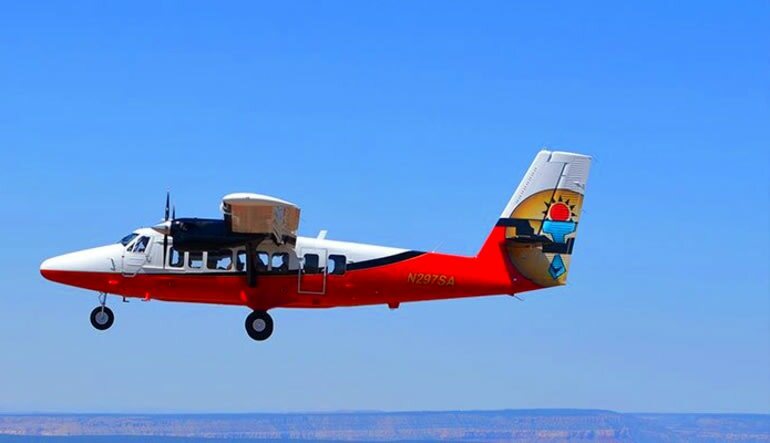 This Grand Canyon West Rim flight gives you the opportunity to explore the Canyon’s most picturesque vantage points by both air and land plus, take a trip to the Old West and other exciting cultural attractions! 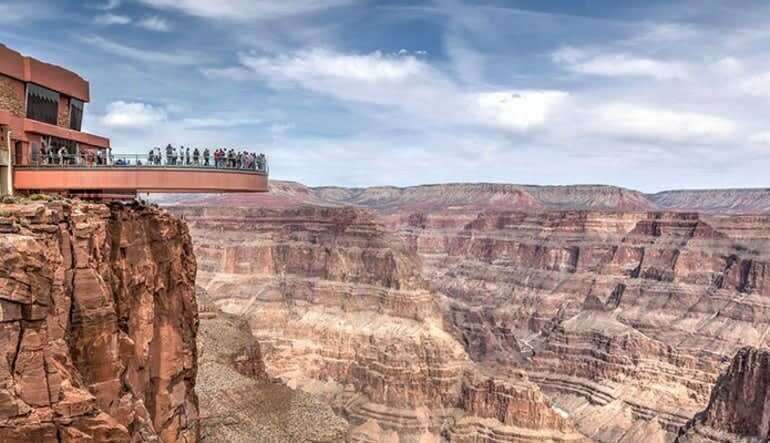 Highlights include Eagle Point from both plane and ground, a wild west show, a trip to a Native American village and a trek to Guano Point where you’ll be left breathless looking over the 4,000-foot drop! Fly in a De Havilland DHC-6-300 with climate control and oversized windows. Receive in-flight narration while getting panoramic views. See the Grand Canyon West and the mighty Colorado River. After landing, enjoy shuttle access to multiple Canyon points. Witness a cowboy gunfight and partake in roping and speed drawing lessons! Head out to Eagle Point and be awed by the eagle-shaped formation. Witness live music and dancing performed by the Hualapai tribe. 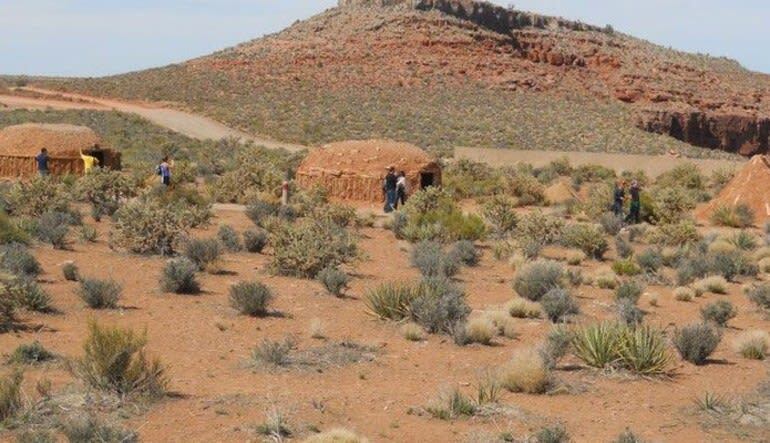 Explore a number of tribe dwellings. 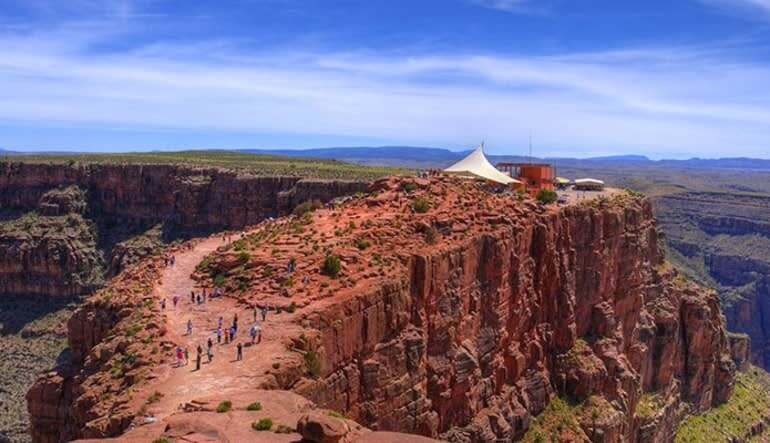 Go to Guano Point for nearly 360-degree views of the Grand Canyon! Nothing compares to the high and low views experienced on this journey. 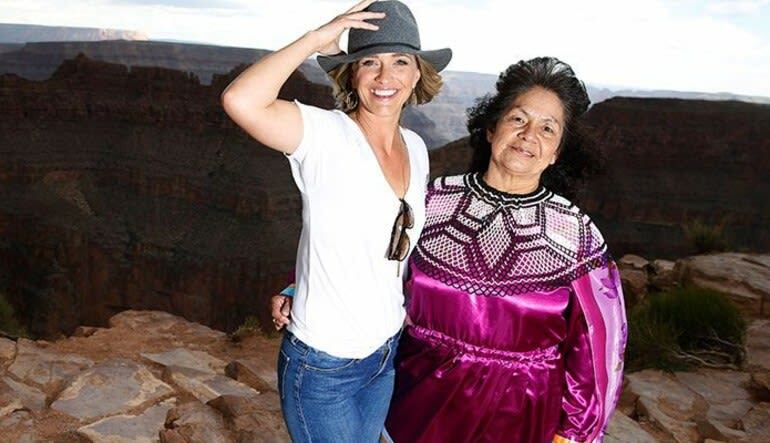 Take in the West Rim every way imaginable!